Mongolia faces a daunting task in improving its physical infrastructure, but has an administration with the ability to do it. On the back of stronger economic performance in the last year and pragmatic policy making, Fitch anticipated that the country’s construction industry will grow from MNT1017bn this year to 1589bn MNT in 2020. While Ulaanbaatar’s explosive development as a mining hub has seen marked improvements in the quality of the city’s infrastructure, the picture is different in rural areas. In a country defined by vast open spaces and nomadic herding, road links have remained poor and logistics are costly and time-consuming. The country has a 12,660km road network, but only 2244km of this is paved. Mongolia’s recent economic difficulties have confirmed the assessment that if the country is to enjoy sustainable growth in the long term, it must look beyond mining and toward a more diverse economic base. Upgrading the country’s infrastructure will form an integral part of this transition. Mongolia’s mineral wealth endows it with significant potential to develop downstream industry, but logistical difficulties pose a major problem for the competitiveness of these industries. Improving infrastructure ranks highly on the government’s agenda, yet will be a difficult task to push through. For one thing, the government is currently in the process of consolidating its fiscal position under IMF supervision. Whilst this program has made progress and has met IMF targets, this remains a time of austerity. Indeed, historically inefficient capital spending has come under particularly close scrutiny, and was slashed from 10.9% of GDP in 2016 to 4.3% in 2017. The government is also seeking to reform the way it plans infrastructure spending. The IMF cited non-transparent infrastructural “build-transfer agreements” as a dangerous practice, which committed large sums of cash to various unaudited projects. Under the fiscal consolidation program set out by the IMF, these practices are to be halted. Despite these fiscal obstacles, Mongolia’s infrastructure is set to improve substantially in the medium term. Two factors underpin this. First, stronger commodity prices have accelerated the flow of foreign direct investment into the Mongolian economy. Gross mining output was 23.9% in the first 7 months of this year compared of the same period last year. FDI into the country increased by 136% in 2017, as miners recognize the returns to be accrued from resource extraction in the country’s pro-investment business environment. This fresh inflow of investment will necessarily target the country’s transport links, focusing predominantly on upgrading connections between the country’s mines and its export ports on the Chinese border. Second, the Mongolian government is leveraging its strategic geographic location to attract regional investment. So far, this has predominantly come from China under the banner of Xi Jinping’s ‘One Belt, One Road’ initiative. The Mongolian, Russian and Chinese governments have discussed at length the prospect of a trilateral economic corridor between their countries, which would aim to dramatically increase the capacity of transport links between Tianjin and Ulan-Ude, running through Mongolia in the process. Aside from this, talks have also discussed other projects such as upgrading the electrical grid. This continues a history of cooperation between Ulaanbaatar and Beijing - as of July 2017, China had already invested $4.1bn into the country. The surge of easy Chinese cash set loose by ‘One Belt, One Road’ has drawn criticism in some quarters for fuelling unsustainable levels of borrowing in debtor countries. Chinese debt was a big part of Mongolia’s fiscal difficulties in the mid-2010s, and the Sino-Mongolian relationship has not been without acrimony. However, for a competent and reform-minded administration it represents more of an opportunity than a pitfall. The current government clearly understands the importance of the fiscal reform program set out by the IMF. It is inclined to engage with Chinese largesse, but knows that it requires careful management as a part of a multi-vectored foreign policy. Notably, the country has enjoyed productive relationships with Japan and South Korea. Having already provided a $493 million loan for the construction of Ulaanbaatar’s new international airport, Prime Minister Jargaltulga Erdenebat and Japan’s Shinzo Abe pledged a 2017-2021 action plan to further develop ties. 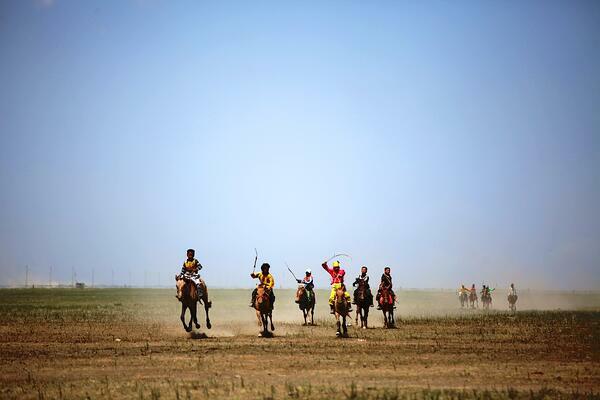 The challenge that Mongolia faces is substantial. It must tread a fine balance between austerity and comprehensive infrastructural development. However, Mongolia enjoys a strong economic governance under the current administration, and an extended range of international partners willing to assist in this process. 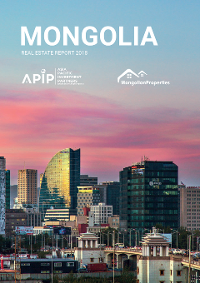 This presents an opportunity both for Mongolia and for its international investors.